As a Star Wars fan, I had fond memories of the Holiday Special in the years that followed its one and only airing. I had seen it as a kid when it was broadcasted on November 17, 1978. Even a year and half after the release of Star Wars, there was still so much pent up demand for anything Star Wars related: collectibles, magazines, and especially coverage on TV, that a two hour program on Star Wars was destined to be the highlight of the wait for The Empire Strikes Back. To see all the main actors from the film take part in a "sequel" of sorts, was something truly amazing. Years later as a fan and collector, I watched a copy of the Holiday Special on bootleg VHS. Of course the show didn't hold up to my memories, and in fact was so bad that for years I used to offer a vintage Star Wars action figure to collectors at our SARLACC meetings in Seattle if they could sit through the entire Holiday Special. Many bailed out of the "Holiday Special Challenge." But something happened years later... it grew on me and I came to appreciate the Holiday Special for its kitsch value: the holographic dance performance, the wookiees' red outfits, the Jefferson Starship performance, Carrie Fisher's song, Itchy's moment with virtual reality "entertainment," etc. There are also some great moments that stand on their own without the ironic qualities: cut scenes from the first film, the cantina creatures reunited, the Kenner commercial, and of course, the introduction of Boba Fett in an animated cartoon. While so much stuff has surfaced over the years from all the Star Wars movies, it turns out that it's extremely difficult to find pieces used in the actual production of the Holiday Special. 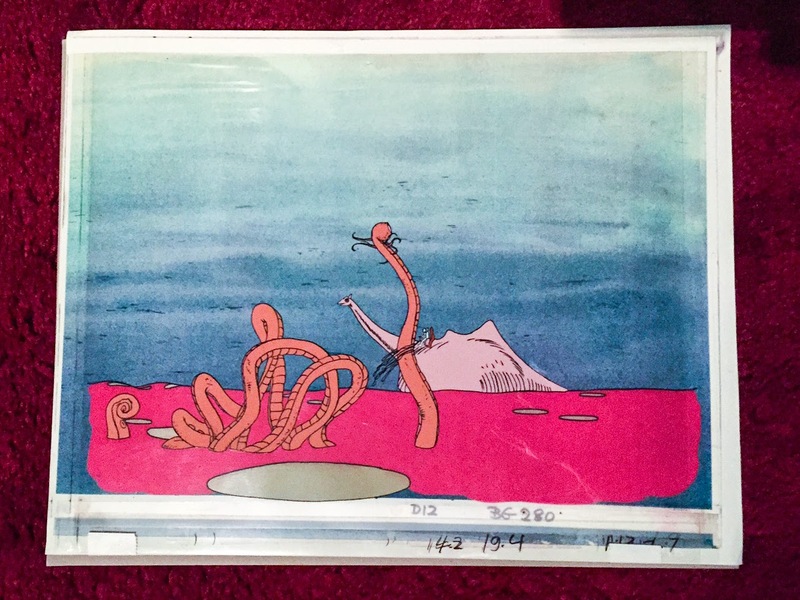 The first items to turn up were cels from the animated sequence. 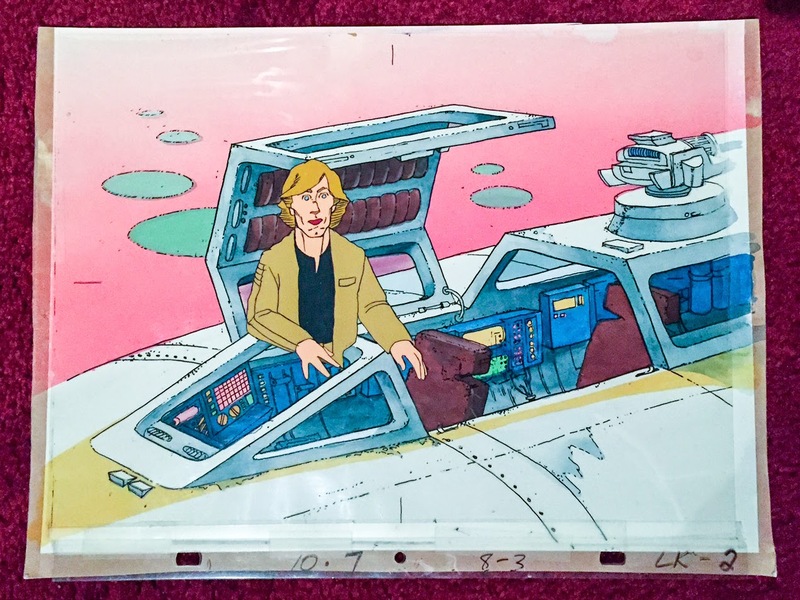 I saw a dealer at San Diego Comiccon selling Holiday Special production cels in the mid 1990's at what seemed like insane prices at the time, and these have popped up from time to time although still remain scarce. Unfortunately, since the Holiday Special animation sequence is so brief, very few cels were made for the program and few are known to exist today, especially with backgrounds. The sequence opens up with Luke and the droids landing on the planet Panna which consists of an ocean of red jello where they meet Boba Fett riding a dinosaur. The cel pictured here shows a wide angle shot as Boba Fett rides off with the heroes. For the story, Luke abandons his usual X-Wing ship to ride in a two-seater Y-Wing. During the live action scenes for the show, the Imperials break into Lumpy's room. To show the depths of their oppression, they actually break the head off Lumpy's plush bantha toy and ransack his room. On the floor of Lumpy's room are three different masks that look like welder's masks, all custom made props for the show. 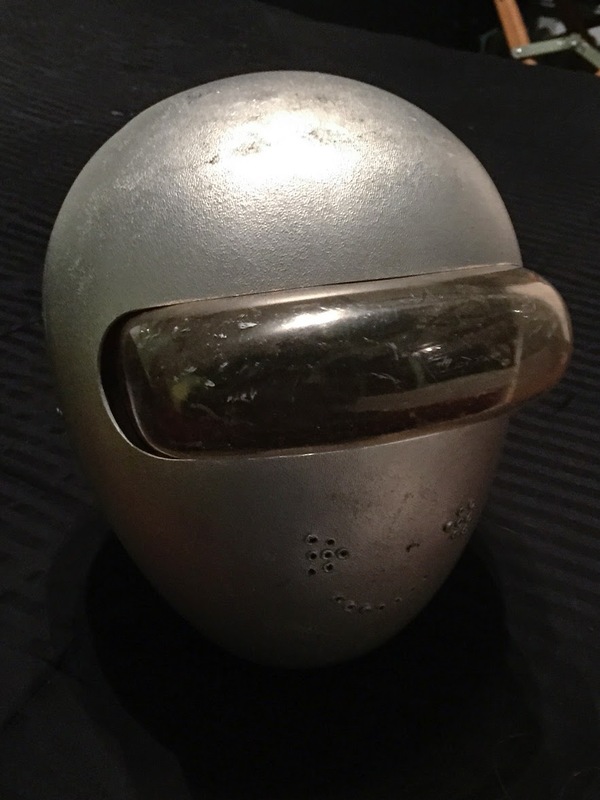 The costumes and masks used for the Holiday Special were assembled from various sources. The cantina masks were the originals from Rick Baker's crew used in Star Wars. The Imperial costumes were likely from the film as well. Wookiee costumes were so difficult to make that for the final scenes, they dressed the wookiees up in red robes to avoid building many tall hair costumes. Most of the wookiees had Don Post Chewbacca masks with different highlight in the hair. The costumes from the holographic dancers were all custom made. The five acrobatic dancers were known as the Wazzan troupe a family of acrobats who did performances at shows and circuses for many decades and across several generations of the family. For some Star Wars fans, their performance is the kitsch highlight of the show. This is one of the original costumes from that performance.